Kindly/Single-Coated: Upper right in photo: Extremely soft and downy, usually very crimpy and dense. Roos nicely if caught in time. Short staple, typically 2 to 4 inches in length. Has a tendency to collect debris, but this can be easily removed through the use of the combing process during fiber preparation. Ideal for the softest, next-to-the-skin garments such as baby clothes. Longish and Wavy: Upper left in photo: Most typically seen. Fleece lengths are normally in the 4 to 6 inch range, with a slight “wispiness” on the ends of each lock. The fleece has a very open quality with the ends of each lock well-closed. Spins very easily. Nice for worsted wool applications, as in fine woven fabrics or knitwear with well-defined patterns that must be retained, as in Fair Isle sweaters. Beaver/Double-Coated: Bottom in photo: Long and luxurious. Fleece lengths are usually in the 6 to 10 inch and even longer range. The ideal double coat has well-defined separate coats that can be readily separated. The outer coat is hair like, while the undercoat is soft and downy. The two coats may be spun separately or together. The outer coats serves as a protective layer against harsher weather. This is the most versatile fleece. 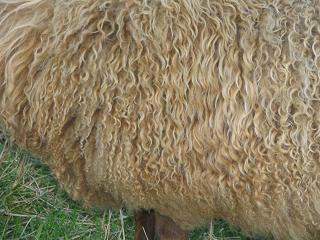 A single-coated ewe & fleece. 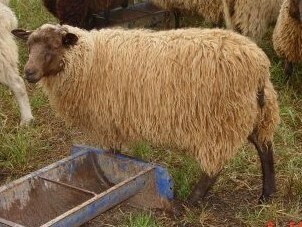 A long/wavy ram & fleece. A double-coated ewe & fleece. 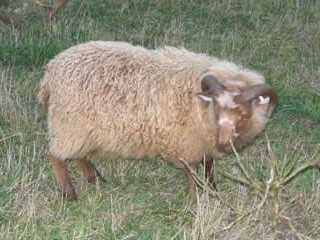 As an “unimproved” breed, the Shetland was not originally intended to have a completely uniform fleece from head to tail. Traditionally, one Shetland fleece was put to multiple uses by the crofters on the Shetland Islands. It has been accepted that the neck wool is the finest and crimpiest part of the fleece, and was used to make lace shawls and hosiery. 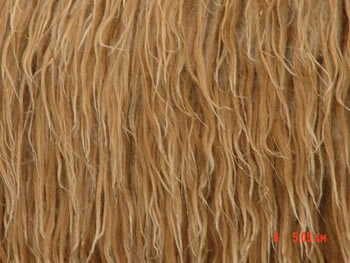 The shoulder wool is also more fine and crimpy, and was used to make undergarments and baby clothes. 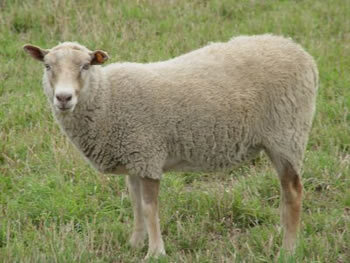 The wool from the midsection could be used for soft sweaters and outergarments. The britch wool was used for socks. 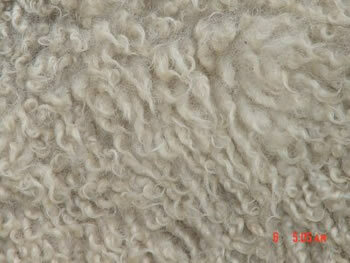 This variability in the Shetland fleece is traditional, and should not be discriminated against in the show ring. Again, the softness of the fleece is the most important trait. Efforts have been made on Shetland and mainland Scotland to make the Shetland a more commercially viable breed. 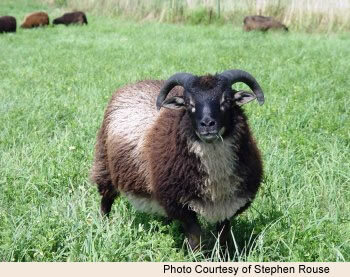 The Modern type Shetland does have a more uniform fleece from head to tail, and is usually very soft and crimpy with a medium length single-coated fleece. This type of fleece is more easily handled by commercial processors.